Every season has its own specific look, just like you do. Having a unique taste that caters to your individuality is sometimes the key for walkin' into a room and feeling like you own it and the rest of the place. 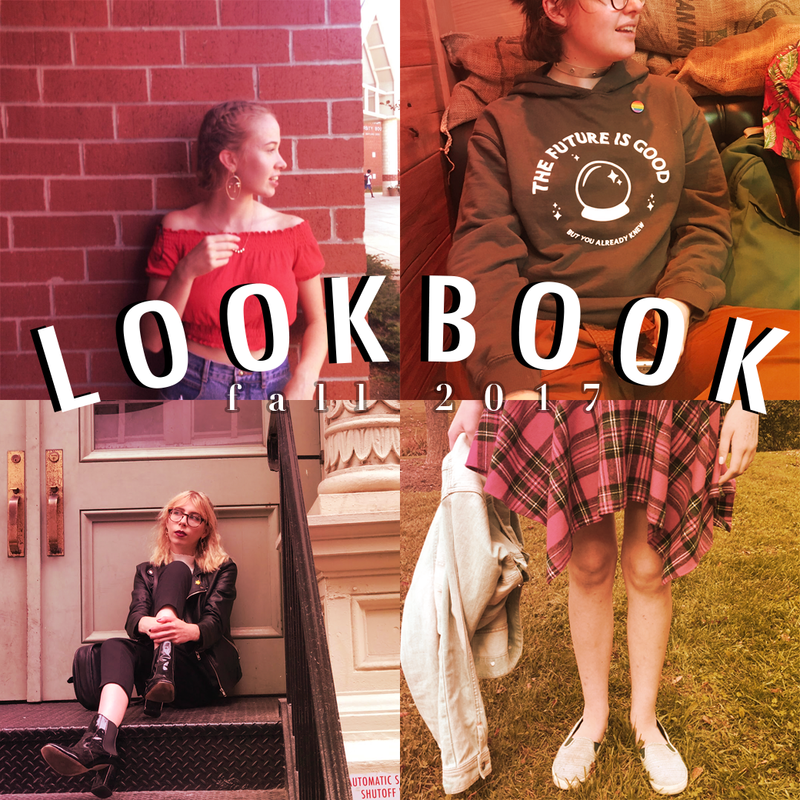 The Lookbook Series is composed of members with avidly different tastes in fashion that can speak to your little soul. Now let's get this show on the road! OUTFIT: Recently, I moved to New York City, and accordingly, I’ve had to step up my style game. The season has been oddly warm, but that’s not stopping me from wearing my leather jacket and platform boots while exploring the city. This look is classic with a personal touch with a yellow rose pin and shiny (faux) patent boots. OUTFIT: For me, autumn is about squeezing every last bit of warmth out of summer before succumbing to months of heavy coats and seasonal sadness. Everything I’m wearing is pretty much only appropriate for summer, but the plaid makes it seem somewhat more timely. I absolutely love this skirt, it’s soft and warm without having the itchiness of wool. I’ve recently decided to cut down my fast-fashion consumption for ethical reasons, so I can’t endorse Primark, but I’m loving the wannabe 90s grunge aesthetic. OUTFIT: Autumn/ fall is all about warm tones, like browns and oranges, but when I found this hoodie, I knew it was going to be my staple for this season. Positivity and comfort is what I want autumn to bring; and for versatility, pair this with jeans or tuck it into a skirt! OUTFIT: To me, fall is about finding the balance to the cute shorts of summer and the oversized sweatshirts of winter. Before the weather started to get cold, my everyday outfit was a short sleeve or sleeveless shirt with long pants. This outfit is perfect because it’s simple but combined with the earrings, it makes a statement.